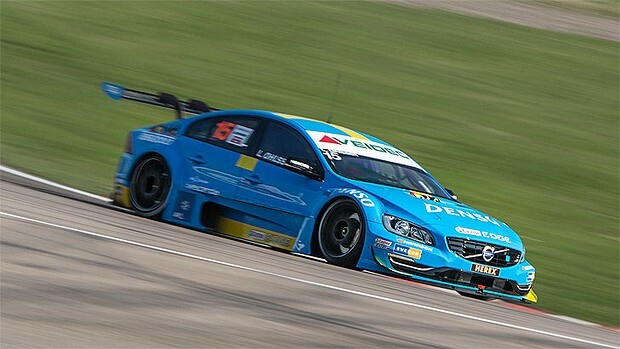 2014 will see the return of Volvo to Australia's premier touring car series. Whilst the rest of the world downsizes Australia continues with V8 Supercars and instead of using the generic V8 engine Volvo will use an adapted version of their own 4.4 litre V8. Polestar will build the cars and engine and run the team. The drivers have yet to be announced. Volvo have history in touring car racing with entries in the BTCC and Australian touring cars - most famously at the Bathurst 1000 where they Jim Richards won in 1998 in an S40. This move signals a further step in confidence for the Swedish company who have been increasingly pushing their revised model range through traditional advertising, social media and racing. Another sign of Volvo's increased confidence is their V40 test drive challenge. If customers test drive a Mercedes CLA 180 CDI and a Volvo V40 D2 R-Design back to back, and then choose to buy the Mercedes, Volvo will pay for the first month's payment. I'll soon be running a Volvo V40 T5 for a week and will let you know if the reality lives up to the hype.